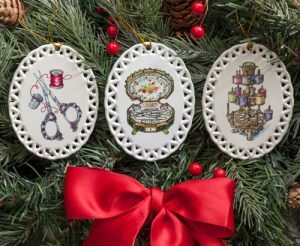 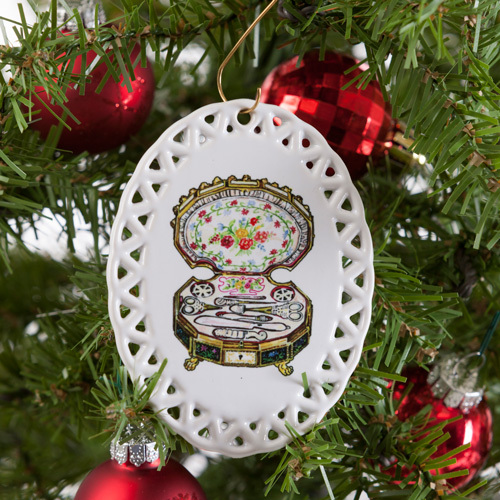 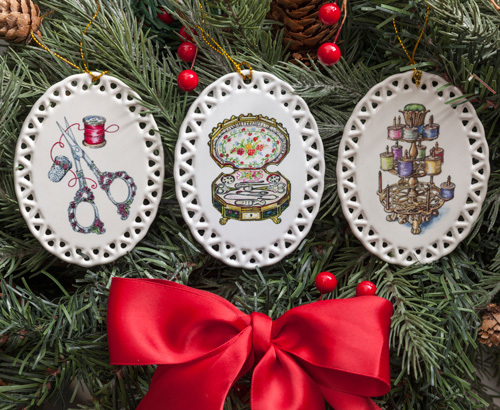 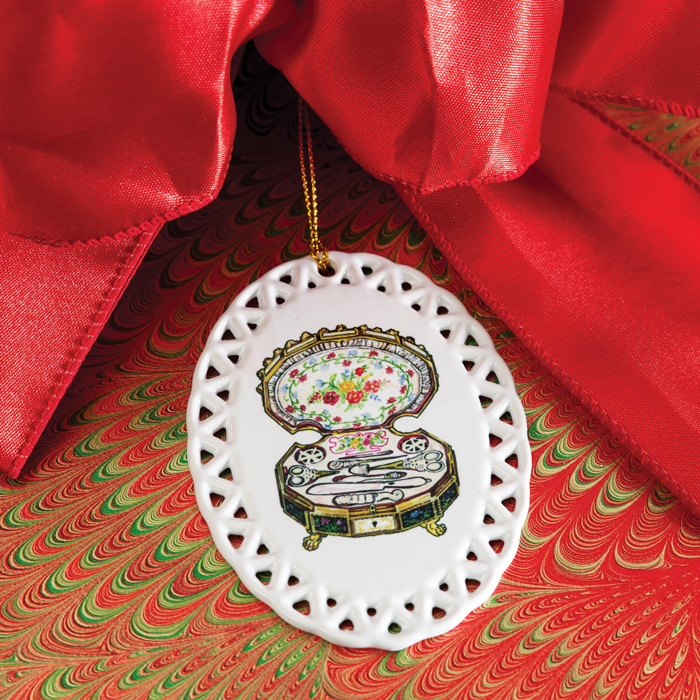 We are pleased to announce the third annual Christmas Ornament from Classic Sewing magazine. 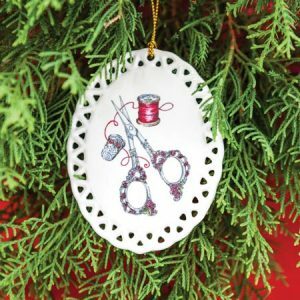 We are pleased to announce the third annual Christmas Ornament from Classic Sewing magazine. 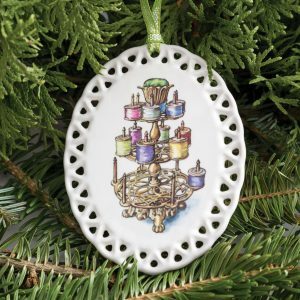 The artwork of Judy Jamieson is beautifully presented on the china ornament.The size of the ornament is 3¾” x 2⅞” with the lacy open lattice edge.